The Fairfax County Office of Elections says new sample ballots are being mailed to 11th District voters. Last week, voters in five Reston precincts that are part of the VA 11th received sample ballots that had 8th District information in the race for U.S House of Representative. Rep. Gerry Connolly (D), who is running unopposed, represents the 11th. “In an effort to prepare Fairfax County voters for a lengthy ballot this November, the Office Elections prepared a sample ballot mailing for every registered voter in the county,” Fairfax County General Registrar Cameron Sasnett said in an email. 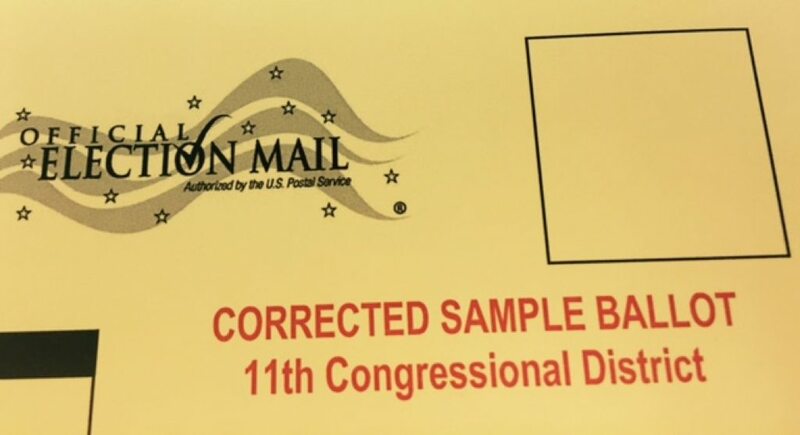 The Office of Elections says voters who received the yellow sample ballot mailer should refer to the front of their mailing for their correct Congressional District. If they have a question about your sample ballot, call the Office of Elections at 703-222-0776 (TTY 711) or go to the Office of Elections website.